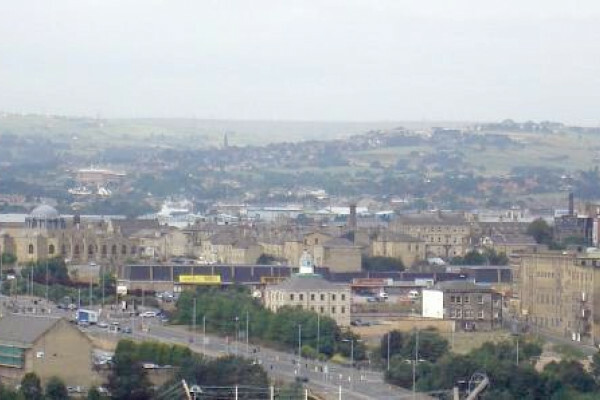 Kat - This month I've been to the British Science Festival in Bradford - home of the Born in Bradford cohort study. Five years ago a team of researchers in the city embarked on an ambitious collaborative project with scientists in the UK, Pakistan and elsewhere - to study as many babies born in the city as possible, looking at their health and educational outcomes as well as their genetics. I went along to their annual meeting, held at the National Media Museum in the centre of town to find out more about the study and some of the results that are coming out of it. First, I spoke to the director of the whole study, Professor John Wright, and started by asking him what exactly is a cohort study? John - People will know them from television series like 7 Up and Child of our Time, where we choose a group of people - in this case, it's a birth cohort study so we're choosing children born in fact in pregnancy. We follow them up and we try and identify which children fall ill and which children stay healthy. And then by collecting the data in early life, we can unpick what causes those illnesses. Kat - So tell me a bit about the Born in Bradford Study? Who are these lucky kids? John - We started recruiting children in 2007 and carried on recruiting until about 2011. We've recruited 12,500 mothers, about 13,500 children and about 4,000 dads. There are more children than mothers because mothers have more than one child. About half our children are of Pakistani - south Asian mostly Pakistani origin - and about half are white British origin. Kat - Why Bradford because there's lots towns in the UK, or you could do the whole of the UK? Why Bradford in particular? John - So Bradford is a big city. It's the 5th biggest city in the UK. It's very multicultural. It has high levels of ill health and so, it's a good place to study. It's a good population laboratory to try to understand. If you're going to understand the cause of diabetes and heart disease and genetic disease, you're going to choose somewhere which has high levels because you've got more chance of trying to find out why. But it's also a city that has great pride and great cohesion. I think there are not many cities that could've stepped up and what we've done in Born in Bradford. Kat - How were you actually studying these children and their parents? What sort of things are you measuring and how long are you going to follow them for? John - We started when the mothers were about 24, 26 weeks pregnant. We've got details, questionnaire data, DNA, biomarkers, body measurements of all the mothers. When the children were born, we measured all the babies and took blood samples from the babies, and then we followed them up over time, groups of them usually, around specific projects. And most importantly, in this 21st century when we have electronic records for everything, we've got consent from all the families to link up their data, their medical data, their education data. And by doing that, we can track remotely at very low cost what's happening to these children in their health and in their education. How long this goes on for? I think the most exciting results in Born in Bradford will be long after I'm dead. But I'm hoping we're going to get some interesting findings along the way. Kat - What kinds of things can these cohort studies tell us? Why are they so valuable? John - One of the challenges we faced in trying to unpick the causes of disease is firstly having a selection bias in that we just choose people that have the disease or don't have the disease for particular reasons. So by choosing a cohort, you don't know who's going to get the disease. So, it's unbiased in its sampling. The other key aspect of it is that it's prospective. So, you're collecting data before something happens so you're not relying on the recall bias of the mothers or the fathers of the children to say, "Maybe it was that meal I had that gave me food poisoning" which we all tend to do. We all tend to attribute things and think to our own lay beliefs. So by collecting data, clear data and backing that up with good genetic data and biomedical data, we can be pretty accurate in what we're finding out. Kat - It's also a big commitment for a family to be part of this if you say, "We're going to follow you as long as we can". How do the families feel about being involved in this, particularly as in some cases, you are really digging into their genetics and their health? John - What has amazed us in Born in Bradford is how engaged the community has been, how altruistic people are, actually. When there's a good cause in terms of providing solutions to their children's children about improving health, how people want to participate. So, we haven't had any shortage of goodwill. Kat - John Wright, director of Born In Bradford.